Disclosure: The #JerseyLove Retreat was sponsored in part by D6 Sports and Caesar’s Entertainment. We had wonderful sponsors for this trip... but we also paid to attend and received no monetary compensation for our time. Photos are mine, or thanks to Rita at Pui Pui Photography and Sherry at Super Exhausted as noted by watermark. As a part of our #JerseyLove Retreat we traveled to Belmar to see the amazing boardwalk that has been rebuilt after Hurricane Sandy. We also met Belmar Mayor Matt Doherty, and presented him with a $5000 check towards the displaced families of Belmar. 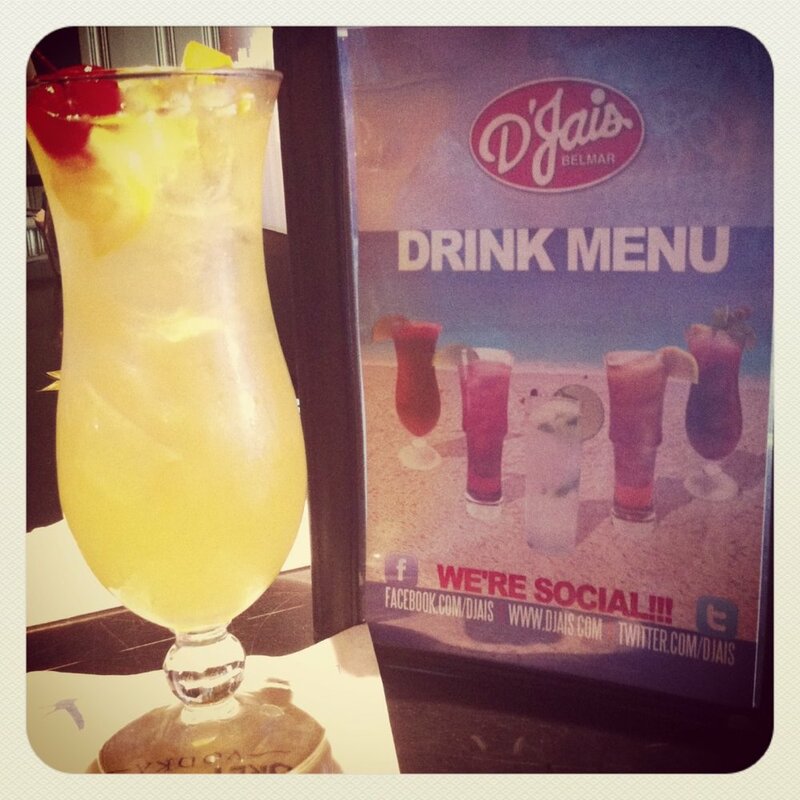 While we were in Belmar, our lunch was provided by D'Jais (drink was purchased by me). Let me tell you... if you go to Belmar make sure you stop at D'Jais. The food was absolutely delicious. The weather was not cooperative for our beach day. It was pretty disappointing... since the Belmar Boardwalk was just begging for us all to take a walk down the shoreline. Some of the other ladies though? They were awesome. 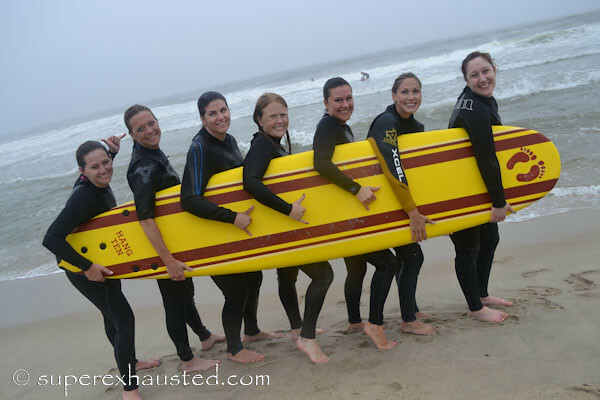 Looking at these ladies makes me regret not pulling on a wetsuit and braving the waves. Hang ten! 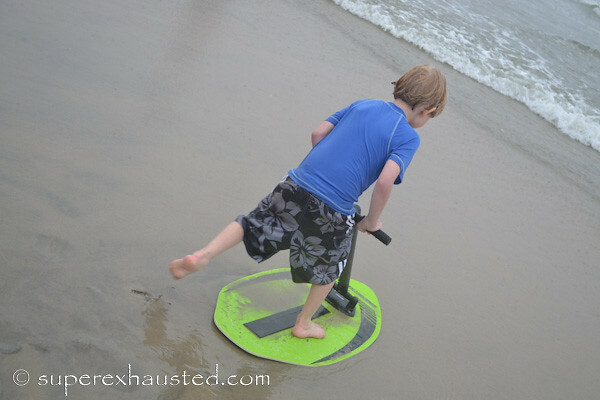 While the moms were getting their surf on... some of the kids were trying out the new D6 Surf Skimmers. The kids were just as awesome as the moms braving the rain and cold water to try out these cool new skimmers. I know Zoe would absolutely love to get her hands on one of these. I can imagine how much fun they would be on our shore trips. With a last look down the beach we packed up and got ready for our ride back to AC. 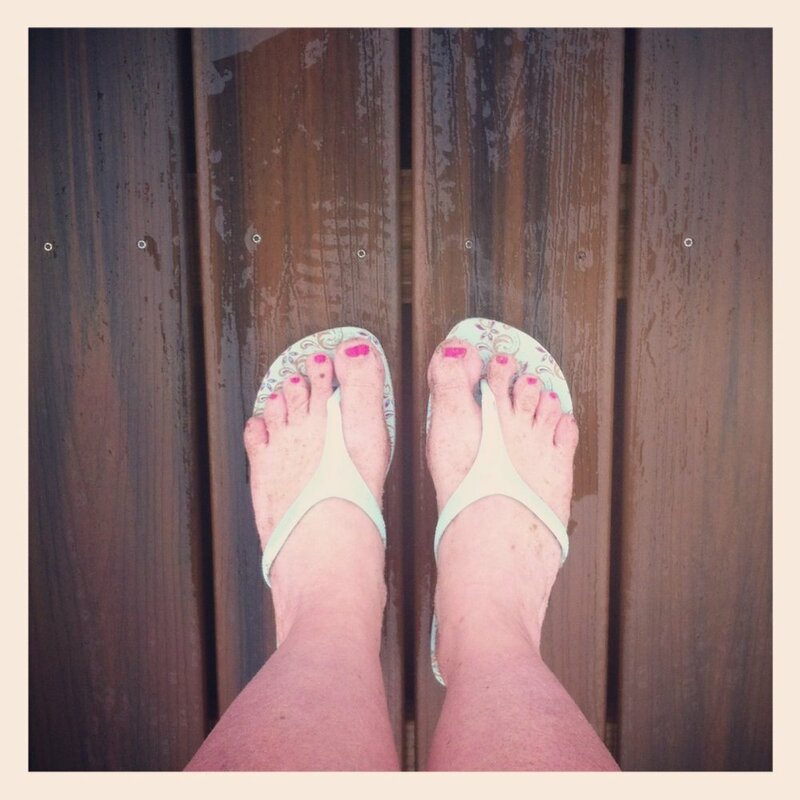 What would a trip down the shore be without a photo of sandy feet? One thing I learned for sure on this rainy beach day (which I actually knew before from a few of our own family NJ Shore trips)? 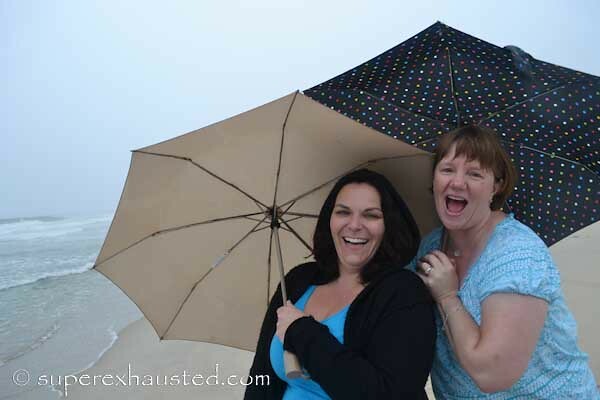 You don't need the sun to enjoy the Jersey Shore or to keep a smile on your face. Thank you especially to D'Jais and D6 Surf Skimmers for making our beach day possible. It was definitely a day to remember.